Are you looking forward to a new comic book but it’s impossible for you to wait for its release before you know what we thought about it? That’s why there’s DoomRocket’s Advanced Reviews — now we assess books you can’t even buy yet. 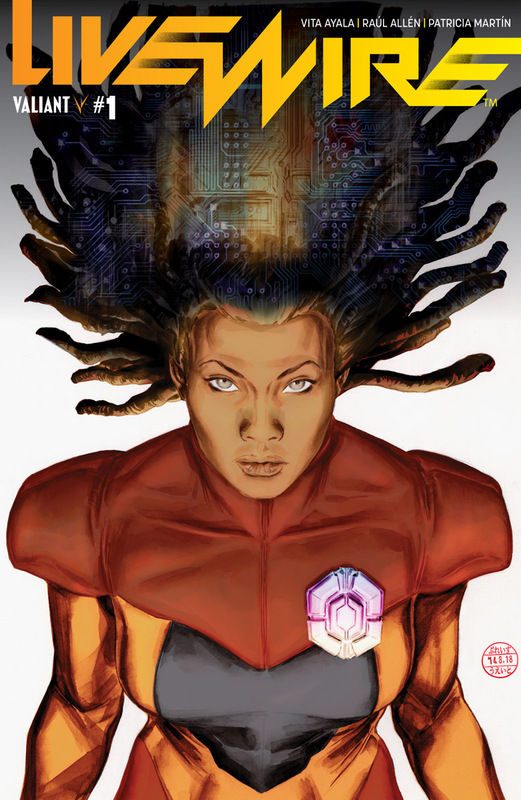 This week: ‘Livewire’ #1, out December 19 from Valiant. 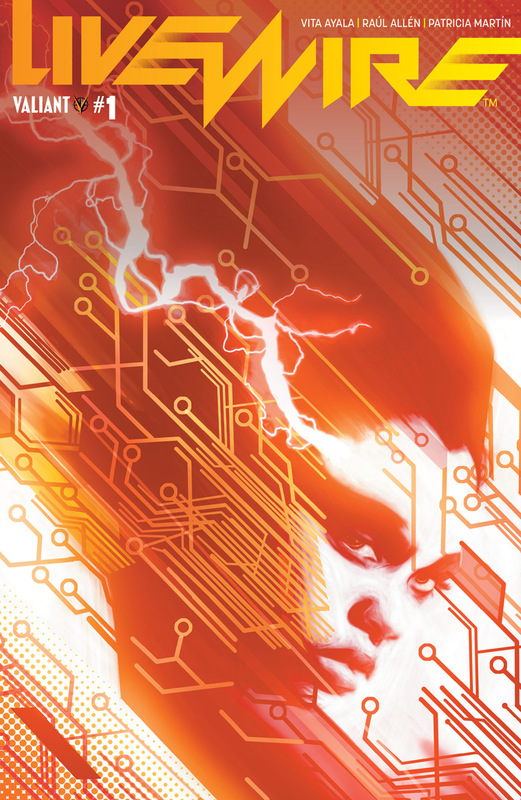 THIS ADVANCE REVIEW OF ‘LIVEWIRE’ #1 CONTAINS MINOR SPOILERS. by Brendan Hodgdon. 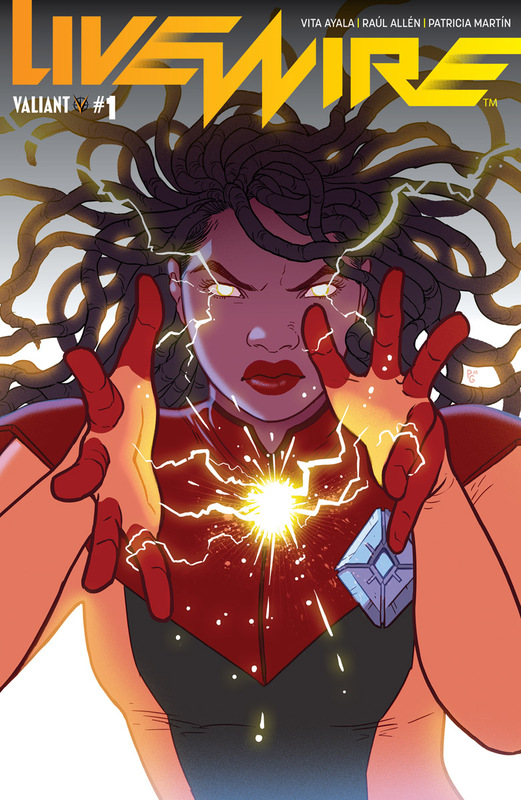 When I reviewed Valiant’s reboot of Ninja-K over a year ago, I walked away being particularly struck by the cameo appearance of another hero, the woman known as Livewire. After just a few short pages, I was eager to see more of her own solo adventures and to get to know this compelling character better, on her own terms and with her own stakes. And two weeks from now everyone will get just that, with this new series from writer Vita Ayala, artists Raúl Allén & Patricia Martín, and letterer Saida Temofonte. And while this debut issue may not be ideal for Valiant novices, it does provide an earnest look at one of the publisher’s most intriguing characters. Ayala’s script throws us right into the deep end of the current Valiant Universe status quo. In the aftermath of the publisher’s recent Harbinger Wars 2 event series, Livewire is Public Enemy No. 1, having subjected the entire country to a blackout in order to protect her fellow superpowered psiots from government aggression. The issue’s plot mostly revolves around Livewire (aka Amanda McKee) attempting to rally her friends around her to prepare for what comes next, while trying to avoid the many dangerous people now hunting her. As far as opening hooks go it’s not a bad one, and it provides a great deal of urgency and momentum right out of the gate. 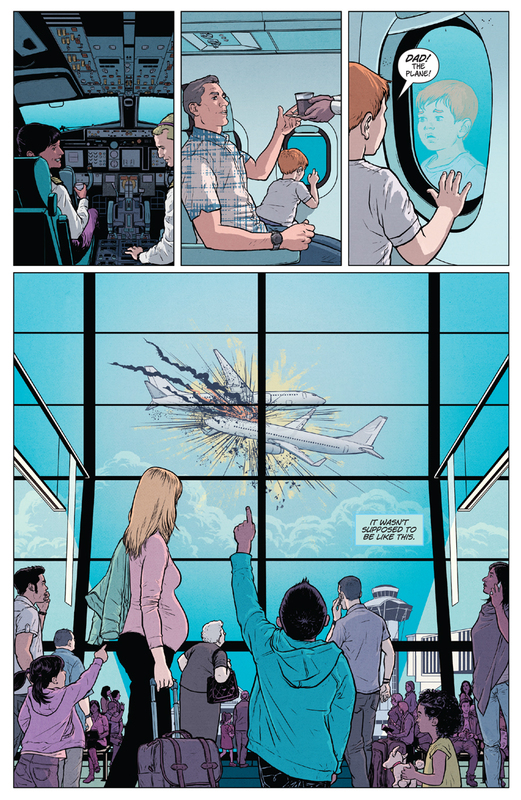 That being said, the way that contextually-significant information is doled out (or not, as the case may be) seems to be based on the assumption that everyone reading this title has read Harbinger Wars 2. 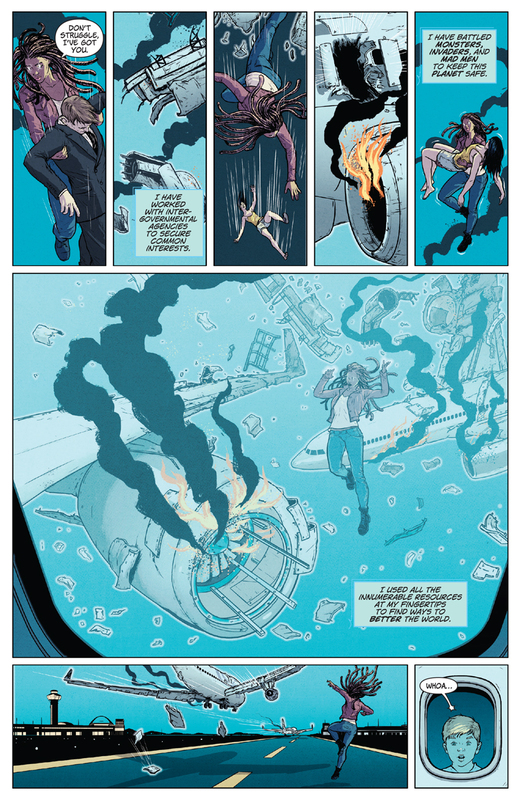 Ayala doesn’t do much hand-holding for new readers in terms of the specific motivations that Amanda had for her prior actions, or her relationships to the other characters we meet in this issue. This leaves the uninitiated playing catch-up from page one, and doesn’t give us much of a sense for who Livewire was as a character before the start of this series. Thankfully, Ayala is a talented enough writer that the details and grace notes they pack into this issue do plenty to balance out this issue. 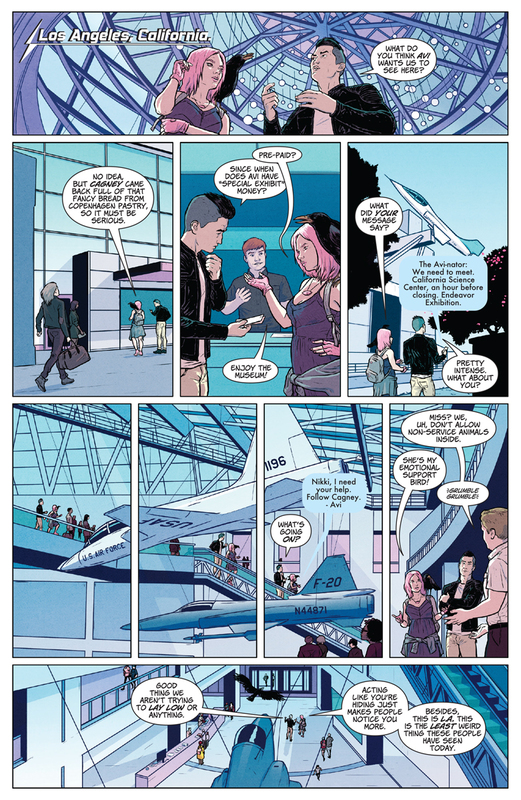 While new readers might not have much tangible context for who Amanda’s allies are or what drove her choices in stories past, we get plenty of examination of who they are now in this particular comic. Ayala spends a lot of time with Amanda’s compatriots, listening in as they debate Livewire’s actions and what they should collectively do next. It never feels like philosophical posturing. Instead, it feels like people with a shared history, grappling with what the next chapter of that history will ultimately look like. 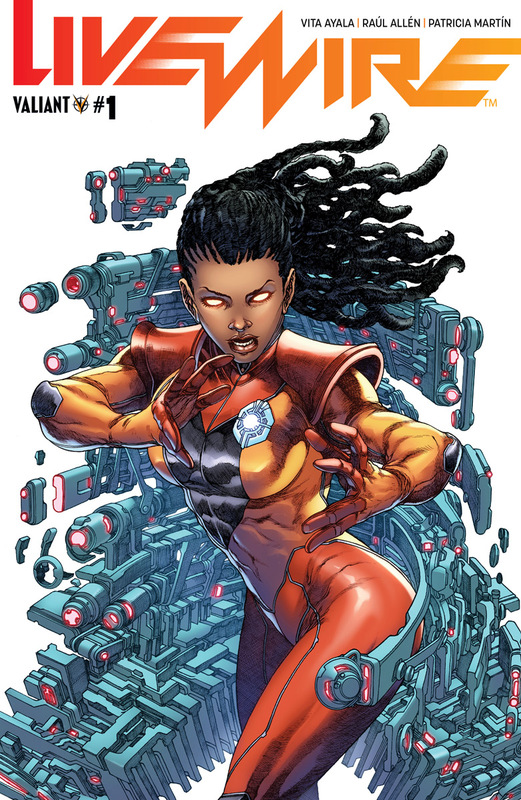 Ayala’s best work is undoubtedly in crafting the voice of Livewire herself. Her internal monologue throughout the issue is self-aware and smart, rendering a character torn between her convictions and her doubts, between self and cause. We may not know the specifics of what happened before page one, but we certainly understand the feeling that’s happening after, and it goes a long way. All of this is well-represented by the efforts of the art team, who are given a wide range of material to play with and handle all of it quite nicely. Artists Raúl Allén and Patricia Martín are given a decent bit of traditional superhero pyrotechnics to play with, and both the opening plane crash and the climactic mercenary showdown make for frenetic fun. They also deliver on the quieter, character-driven segments of the issue, deftly imparting the interpersonal conflicts with tangible emotion that emphasizes the content of Ayala’s script. 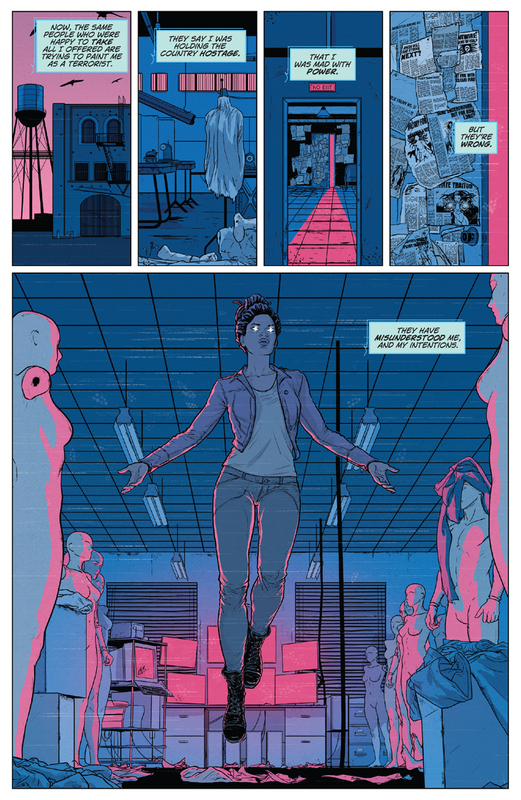 The color work throughout the issue is vivid and distinct, making use of a lot of blues and purplish-pinks that underscore the morose nature of Livewire’s plight while avoiding drabness. Temofonte’s lettering is effective as well, if not particularly showy. Considering the sheer volume of dialogue that’s packed in here, strong lettering is key to maintaining flow, and Temofonte provides just that. 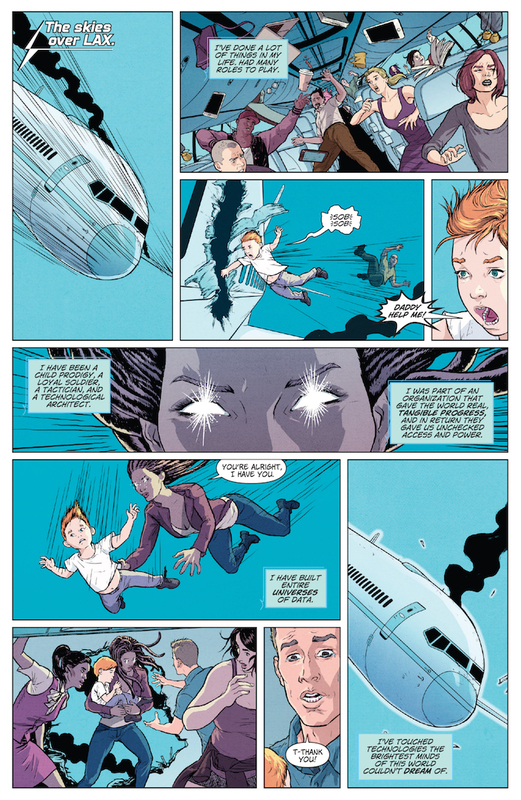 Once you get past the weight of Valiant’s continuity there is a lot to like in Livewire. Ayala gives us a thoughtful and emotional glimpse into our lead character and her friends, and Allén, Martín and Temofonte bring it to life with solid, engaging artwork. There is a great character study at the heart of this title, and as long as they keep that at the center of their plans this should make for a great series. Now that the current has been set in motion, there’s enough spark here to give this character a future to fight for on her own terms. Art by Raúl Allén & Patricia Martín. 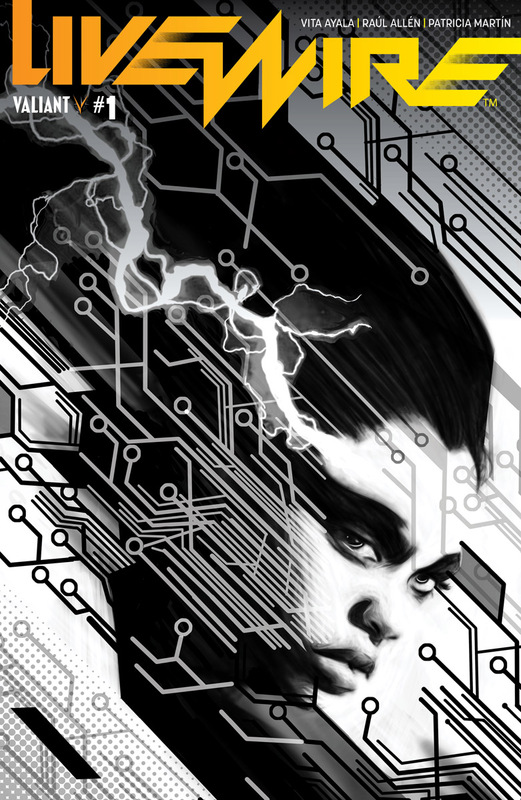 ‘Livewire’ #1 hits stores December 19. 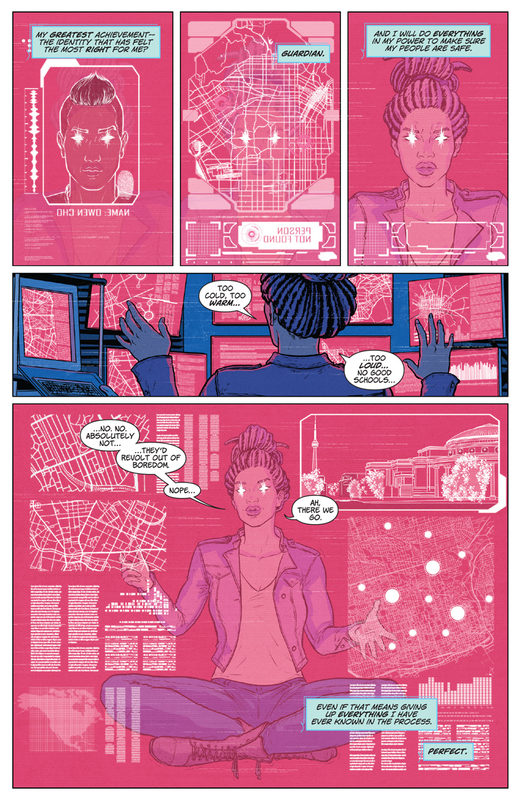 Check out this six-page preview of ‘Livewire’ #1, courtesy of Valiant! Cover A by Adam Pollina. Cover B by Harvey Tolibao. B/W Variant Cover by Adam Pollina. Pre-Order Variant by Paulina Ganucheau. Glass Variant Cover by Doug Braithwaite.